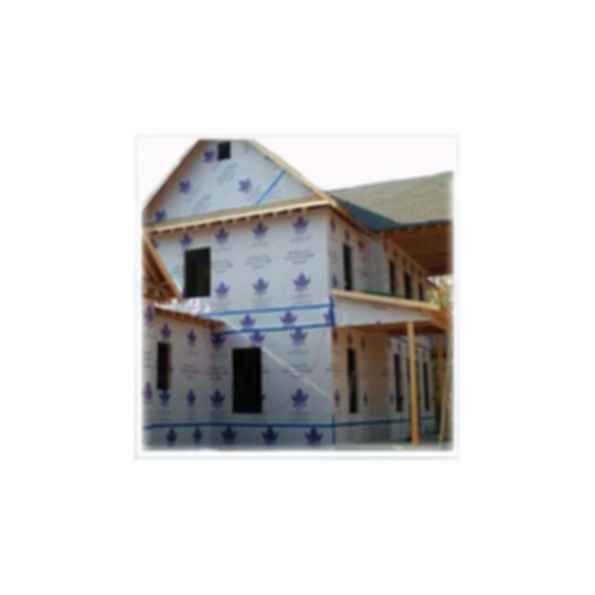 REX™ Wrap Plus is a high strength, woven and coated polypropylene weather resistant barrier that provides for air infiltration protection as well as water resistance when used as a housewrap on the exterior sheathing. The micro perforations keep bulk water from penetrating the wall surface but serve as an aide in allowing moisture vapor the escape at a perfect rate. Also, you can only get the patent pending HI-VQ Two Color Printing from Alpha Pro tech Engineered Products, Inc. When the job calls for a housewrap REX™ Wrap Plus is the builders choice. Alpha Pro Tech is in the business of protecting people, products and environments. We accomplish this by developing, manufacturing and marketing a line of high-value protective apparel, infection control products and a line of construction weatherization building products for the housing market. Our products are sold both under the "Alpha Pro Tech" brand name as well as under private labels.